As we get closer to summer, and winter quickly becomes a faded “bad” memory, we have visions of installing a swimming pool in our backyard and enjoying the summer months ahead. Swimming pool safety doesn’t just happen; and adhering to regulations can prevent an accident. The S in Safety is more than just Supervision. Children must be watched closely. There is no substitute for an adult watching a child. Do not let anything distract you when a child is in or near a body of water – not even for a second! Keep your eyes on the pool at all times! New Jersey has some of the most stringent swimming pool codes in the nation. We treat all pools in the same manner. We treat above-ground and in-ground pools the same with regard to personal and electrical safety, security. If you are considering the installation of a swimming pool, please do not hesitate to contact the Scotch Plains Department of Inspections. We have pool packages ready to assist you with your permit application in order to expedite the process so that you pool can be installed in a timely manner to allow you to enjoy your summer swimming. The code requirements are the same for in-ground and above-ground pools. If you purchase a pool at a “big box” store, and it has the capability of holding twenty-four (24) inches of water it is subject to the same rules and regulations as the installation of an in-ground pool, or an above-ground pool with the capacity of holding forty-eight (48) inches of water. The size of the pool (square footage) does not matter. Do not be caught short, or lulled into a false sense of security. When those hot July days are upon us and the kids are screaming that they are hot – and you went and purchased that pool to quiet the kids down and regain your sanity. Even the pools that, when get filled with water, the walls act as the barrier need permits. Remember: if the pool has the capability of holding twenty-four (24) inches of water or more, it requires a permit. It requires the security of a code compliant fence. You might possible have to install gates in that fence. Those gates must operate and open in a specific direction; and are required to be self-closing and self-latching. The hardware associated with those gates must be mounted at a specific height. There are specific requirements regarding the height, type, and style of fence you will generally need. If you have a pool on your property – then you are required to secure that pool with your fence. You cannot rely on any fencing of a neighbor inasmuch as there is no obligation for that neighbor to retain that fence in order to secure your pool. Remember….Swimming pool safety doesn’t just “happen”….Also remember, when you are finished enjoying your pool at the end of the day, be certain to remove all toys and flotation devices out of the pool so that curious children don’t try to reach for them. Take all necessary precautions…including possibly covering the pool; lock the fence and gate. If you have an above-ground pool, remember the locking devices that are incorporated in the ladder prevent a small child from climbing on them and possibly falling into the pool. According to the U S P S C in less time than it takes to answer a phone, the possibility exists that a child could drown. This is why it is critically important that you NEVER leave children unattended when swimming in your pool; and why any child under 5 years of age should always be in arm’s reach. Remember we are here to answer your questions, and help navigate through the permitting process in order for you to enjoy the summer if it is your intention to install a pool. We are just the messengers. 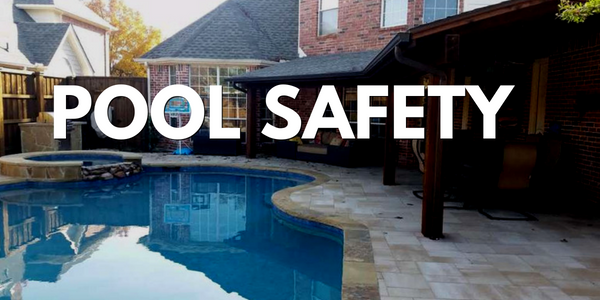 It is our job to enforce the code in order to ensure pool safety – not only to those on the pool property itself – but also to those on the outside looking in. Should you have any questions, please reach out to me at my direct line: 908-939-8448. Enjoy the summer safely! Make it a summer you can remember for all the good times, not a summer to look back on remembering a tragic event.